Hey there and welcome to today's blog post. Around this time of year the advent calendars are all being released. 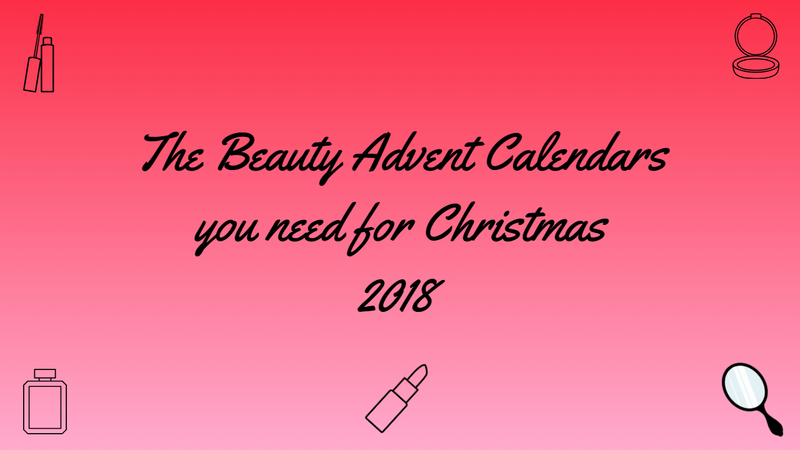 I've just bought my calendar for this year and as we're approaching the festive season I thought I would share some of the Beauty advent calendars that I have had my eye on this year, but didn't end up buying. As usual, I have included calendars for all budgets to help you all find your perfect one, as well as a discount code too!! ... Also how many times can I say the words advent calendar in one post eh?! I'm sure it was obvious that I was going to mention the Charlotte Tilbury Calendar because this is always one of the most popular luxury advents every single year and rightly so because CT is such an incredible brand. This one is one of the most expensive beauty calendars on the market at £150, which is quite pricey for just 12 doors, but it comes with 12 products that are a mixture of mini and full size. As Charlotte Tilbury is a high end brand the price tag does reflect this, however it does have a product value of £196, so if you wanted to invest in some award winning beauty and skincare products then this will be the one for you. Unfortunately this one seems to be out of stock at the moment but if you do some searching other places may have them! This year I decided to pick the Look Fantastic Advent Calendar because the last 2 or 3 years I've wanted it, but didn't want to spend too much on a calendar ... however, this year I caved in and did exactly that. This one retails at £79, but it does say that the products inside are worth £300, so I'm excited to see what's inside. 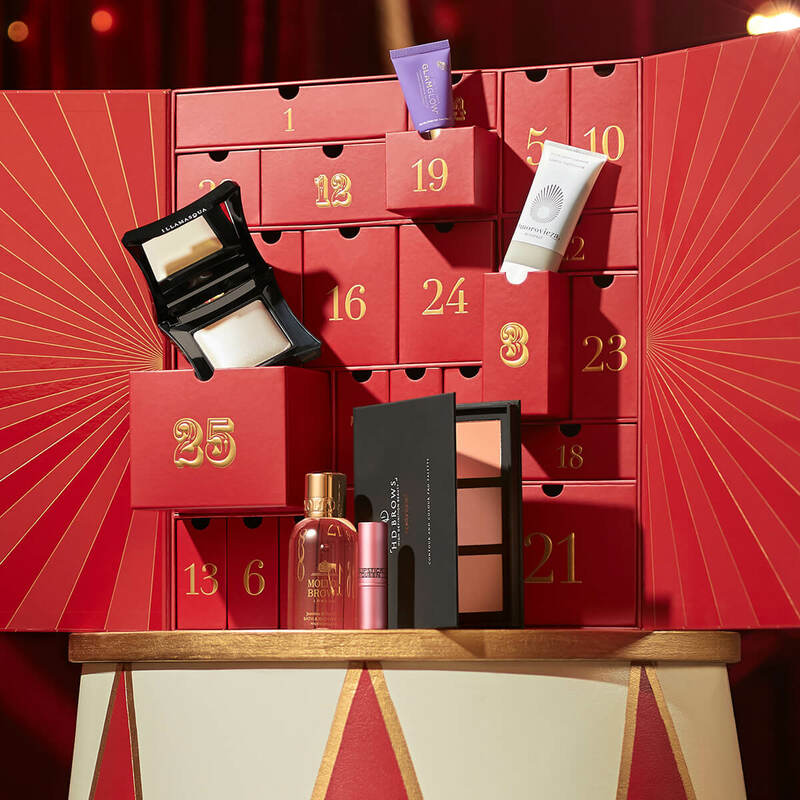 £79 for a 25 door advent calendar full of a variety of beauty and skincare products (said to be the best in the industry) seems well worth it to me. You can also use the code beauty20 to get 20% off (at the time of posting). Next up is The Body Shop Calendar which is also a sell out every single year and it's called the 25 Days Of Enchantment Deluxe Advent Calendar. This one has 25 different boxes inside with a number of full size products inside ... it doesn't actually say if there are any mini's in this one so that would be a bonus if they're all full size. It also says the products are worth £121 and if you don't want to ruin the surprises then skip the list of products below!! We're now moving down to the less pricey calendars with the Makeup Revolution one and it's one sale for £30 (at the time of posting) but was £50. This is a 25 door calendar with a range of beauty products inside, including highlighters, lip glosses, lipsticks, eye shadow palette, makeup brushes and more. I absolutely love Revolution products and I'm also tempted to buy this one too because the eye shadow palettes are particularly standing out to me. If you haven't already tried any of Revolutions products, I cannot recommend them enough to you. They're such incredible quality, have insane shade ranges and also they are drugstore priced too!! Last, but not least, we have the Superdrug Bloom Collection Town House12 Days Perfume Calendar which is currently on sale for £12 (at the time of posting). This one is a little different to the other calendars in this post as this one has perfumes in it. This calendar has 12 doors all with an 8ml perfume sample which I personally think is a little pricey when it was fully priced at £24 ... however, now it's in the sale, I think it's the perfect opportunity to try out lots of new perfumes. So, there we have a selection of the Beauty Advent Calendars on the market this Christmas. I hope you liked this style of post and maybe found the calendar that you will be having this year. Thankyou for taking the time to read this post and I'll see you in my next one! !